Ecoprogetti is a globally active company, among the TOP 5 photovoltaic machine manufacturers for worldwide capacity. Since 1998, Specialized in Photovoltaic machines for Module Production, with innovative and high-quality solutions for photovoltaic module manufacturing, Ecoprogetti provides its customers turnkey production lines of various levels of automation and capacity, tailor made on our customers’ requirements. PV equipment, installations, certified training, know-how transfer, raw material support, certification support are the activities that Ecoprogetti offers in order for you to produce high quality PV modules. Ecoprogetti is also very careful towards nature, we design and create machines keeping the environment and the respect of nature in great consideration. 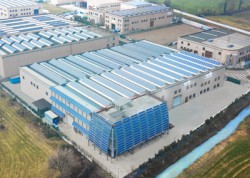 All Ecoprogetti production solutions are thought, designed, assembled and tested in Ecoprogetti's headquarters in Carmignano di Brenta, Italy. 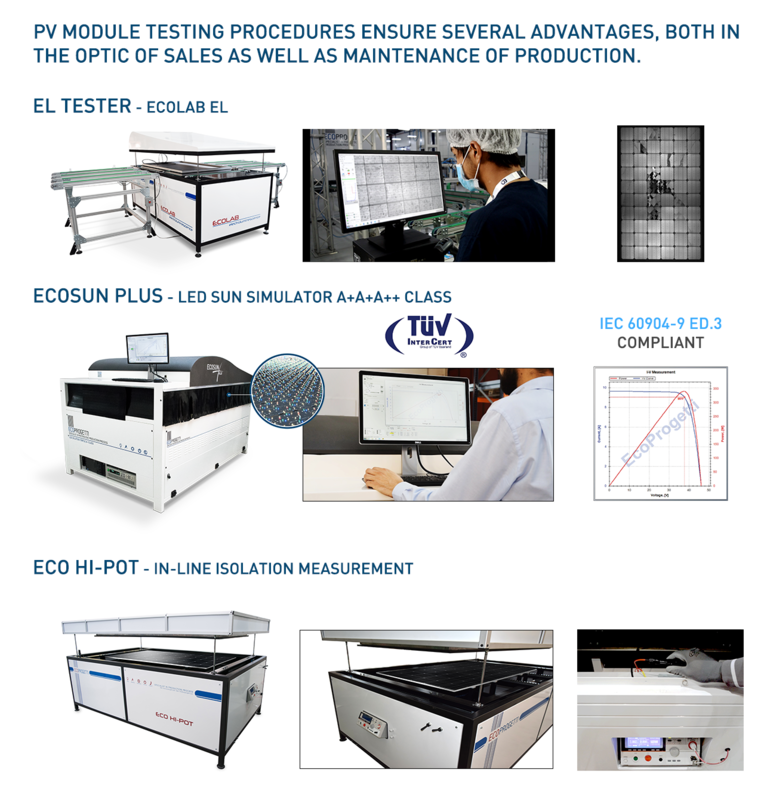 With an R&D center inside the company and the extensive practical experience of more than 20 years in the whole PV production process, Ecoprogetti is the leader developer of PV module production solutions, from stringer machines to testing equipment. Ecoprogetti machines are designed, developed and assembled completely in Italy, starting from the idea of the best quality PV module to the manufacturing solution that can produce it. The equipment and the turnkey lines can be customized according to customers’ requirements, and thanks to Ecoprogetti’s global service network, expert technicians are always nearby, and can provide service and support with the shortest lead times. PV equipment, installations, certified training, know-how transfer, raw material support, certification support are the activities that Ecoprogetti provides in order for you to produce high quality PV modules. Ecoprogetti high throughput stringer machines are designed to carry out the best performance for their specific activityand are used by the world's major solar module manufacturers in the production of solar cells strings. 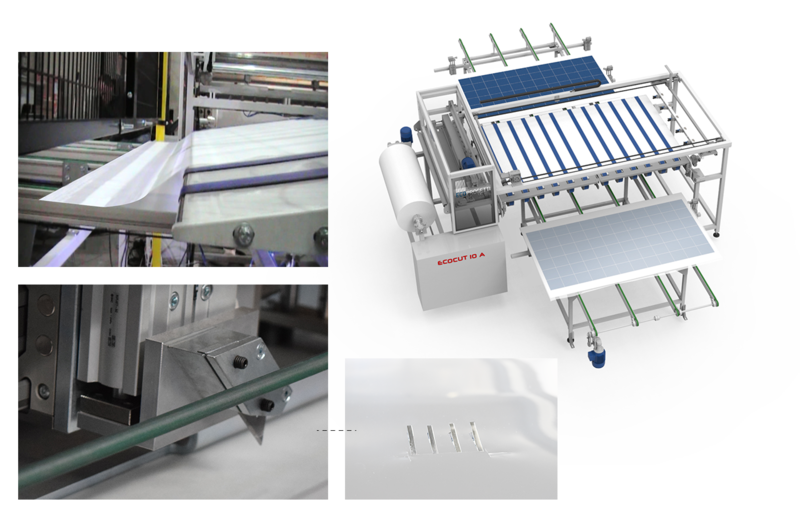 The tabber and stringer machines designed and produced by the Italian company are fully automatic with patented and innovative hybrid soldering system which allows to solder the pv cells without thermal stress. 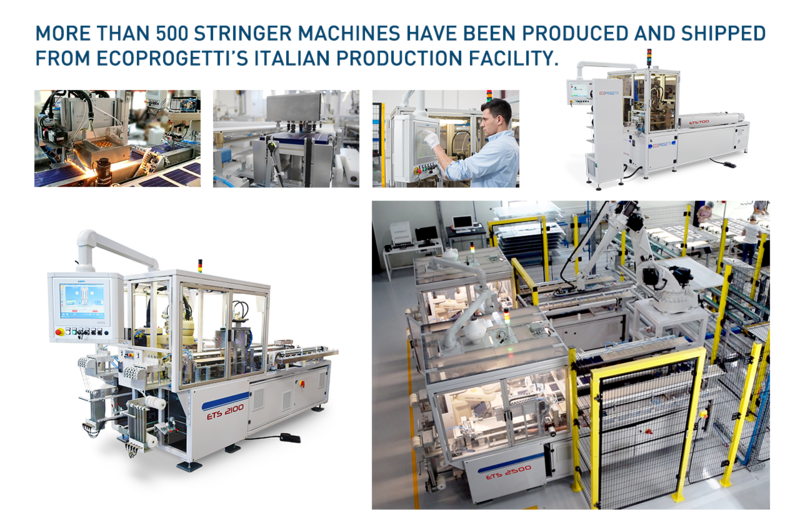 Ecoprogetti has delivered more than 500 Stringer machines worldwide - with the highest flexibility and process stability. 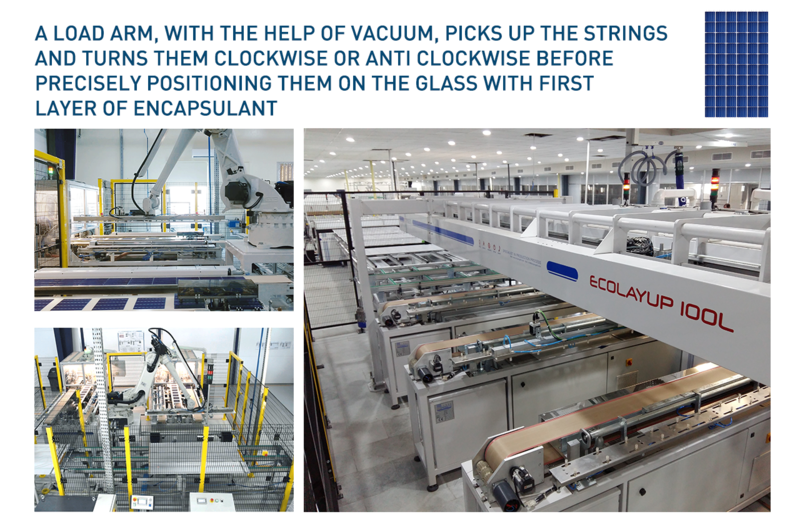 Ecoprogetti layup stations and robotic islands are designed to simplify and improve the layup of the strings on the glass. High speed layup systems with great accuracy and integrated with quality inspection controls. Ecoprogetti produces automatic film cutting machines for Encapsulants (EVA/POE/...) and backsheet that can work both in-line and off-line. As optional, the ECOCUT 10 can also prepare the incision for the ribbon exit, as automatic loading and unloading of the material over the glass. 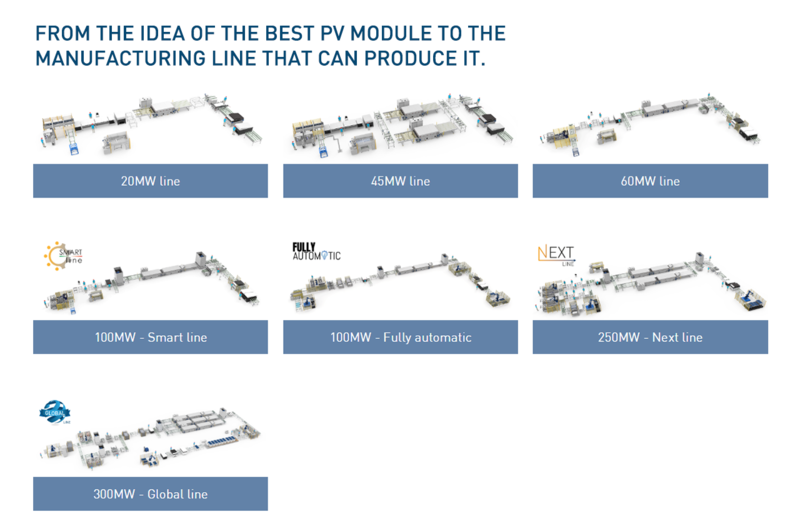 Fully automatic solutions for the lamination fo photovoltaic modules. The machine can be configured in different ways regarding the size, single step, double step, with belts and or with buffers. The lamination cycle permits the use of ultra fast cure EVA. 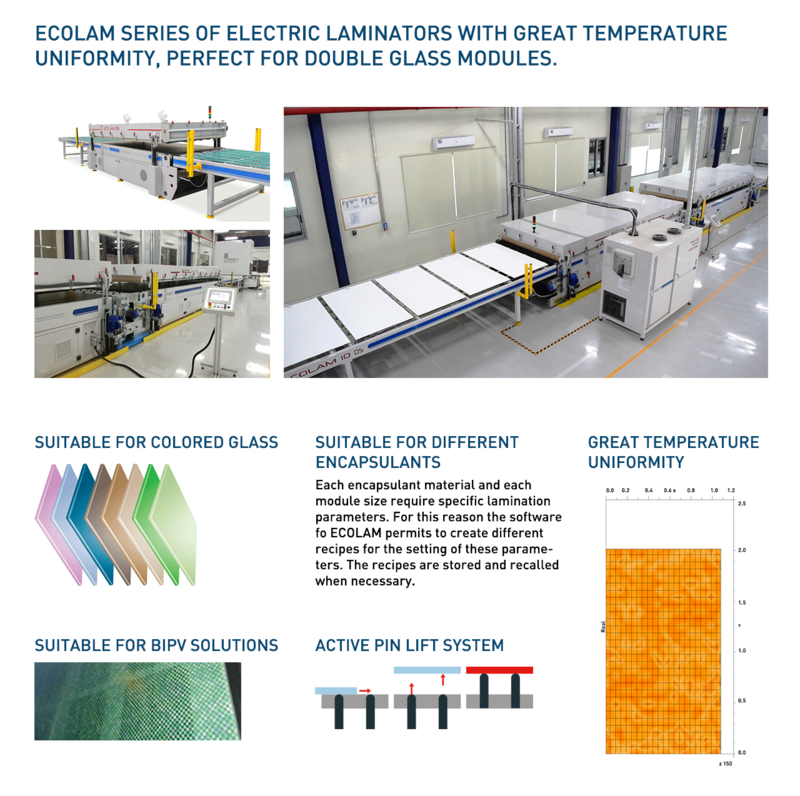 ECOLAM is capable to laminate not only standard photovoltaic modules but also particular architectonic modules with prismatic glass, double glass, transparent back sheet and flexible modules. The lamination cycle is automatic and controlled by a PLC. The operator interacts with the programming through the touch screen where it is possible to control the cycle in order to see the temperature and the vacuum values. PV module production does not end with the manufacture of the single panel but continues with the testing procedures. ● Electroluminescence test: one of the most important tests, necessary to identify otherwise invisible defects such as microcracks and possible welding problems and moisture effect. ● Gel content test kit: the classic chemical test on the laminate module for the measurement of the gel percentage achieved by EVA. 9 nov. 2018 Ecoprogetti receives order from Pakistan for 250MW Fully automatic production line. 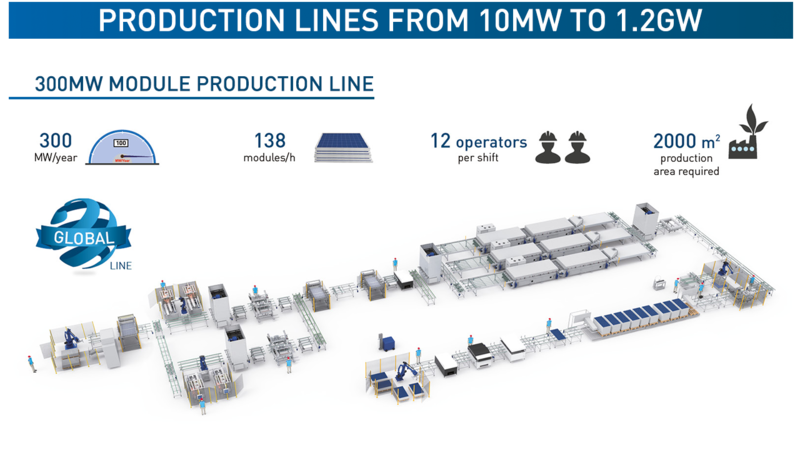 The pakistan customer is starting off with a 250MW first phase by July 2018, planning to quadruple the annual module production capacity, from 250MW to 1GW by summer 2021, in Karachi, Pakistan.